SPRINGFIELD, Mass. — In a first-of-its kind case brought by a Ugandan LGBTI advocacy organization against a prominent U.S. anti-gay extremist, a federal judge on Wednesday ruled that persecution on the basis of sexual orientation and gender identity is a crime against humanity and that the fundamental human rights of LGBTI people are protected under international law. 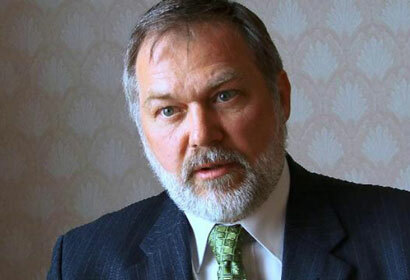 The ruling means that the case brought by the Center for Constitutional Rights (CCR) on behalf of Sexual Minorities of Uganda (SMUG), a Uganda-based coalition of LGBTI rights and advocacy groups, can move forward over defendant Scott Lively’s request to dismiss the lawsuit. “Widespread, systematic persecution of LGBTI people constitutes a crime against humanity that unquestionably violates international norms,” said U.S. District Judge Michael Ponsor. “The history and current existence of discrimination against LGBTI people is precisely what qualifies them as a distinct targeted group eligible for protection under international law. The fact that a group continues to be vulnerable to widespread, systematic persecution in some parts of the world simply cannot shield one who commits a crime against humanity from liability,” Ponsor rule. The lawsuit alleges that Lively’s actions over the past decade, in collaboration with key Ugandan government officials and religious leaders, are responsible for depriving LGBTI Ugandans of their fundamental human rights based solely on their identity, which is the definition of persecution under international law and is deemed a crime against humanity. This effort resulted in, most notably, the introduction of the notorious Anti-Homosexuality Bill — widely know at the “Kill the Gays” bill — which Lively allegedly helped engineer. Lively is also alleged to have been active in countries like Russia where a new law criminalizing gay rights advocacy was recently passed. In 2007, Lively toured 50 cities in Russia, where he reportedly recommended many of the measures that are now law. U.S. law allows foreign citizens to sue for violations of international law in U.S. federal courts under the Alien Tort Statute (ATS). The case, Sexual Minorities Uganda v. Lively, was originally filed in federal court in Springfield, Mass., in March 2012.